Agent, it's up to you to go undercover and save the day. 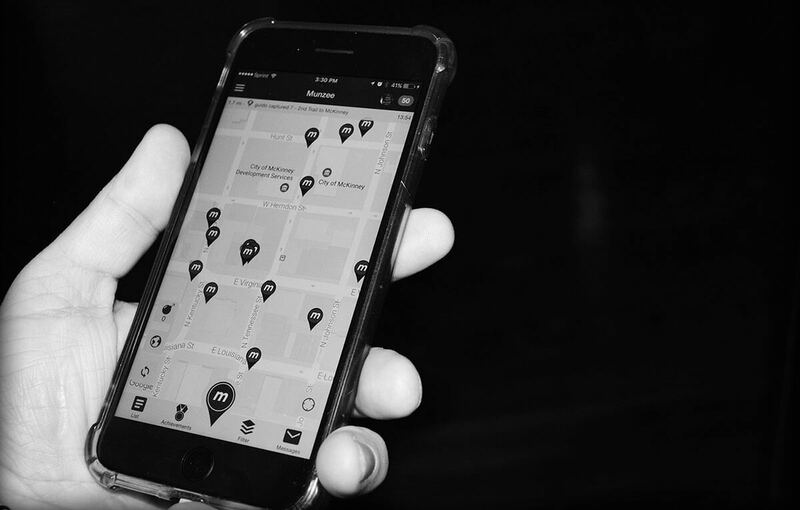 Use the mobile geolocation app Munzee to capture and deploy hidden codes all around the world. 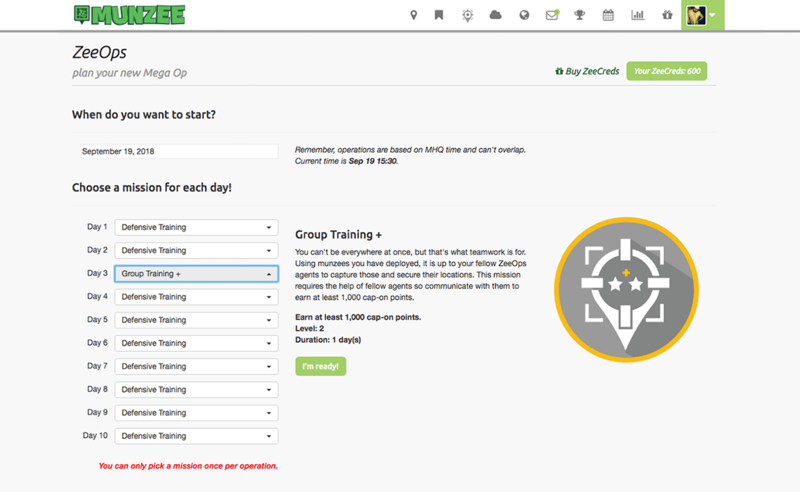 Missions range in difficulty and require a variety of Munzee skills - luckily you've trained with the best. Whether it's taking out members of the Mean Green Gang or acquiring rare gems and jewels it's up to you to complete the Missions in the required amount of time. New sets of covert Operations are released monthly so schedule your time wisely. It won't be easy and you must do it alone, but completing your Missions will lead to untold treasures. 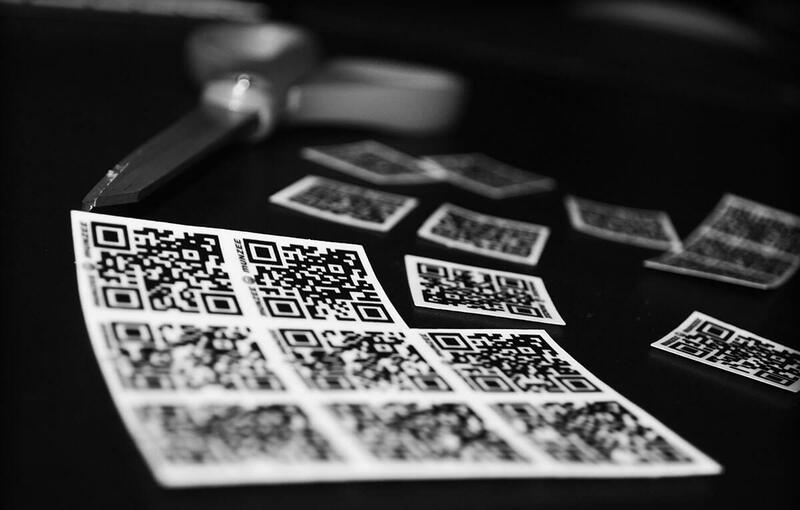 Download the Munzee app to find physical and virtual game pieces hidden in real world locations. Each specific ZeeOps Mission will require you to complete tasks with these geolocation game pieces. 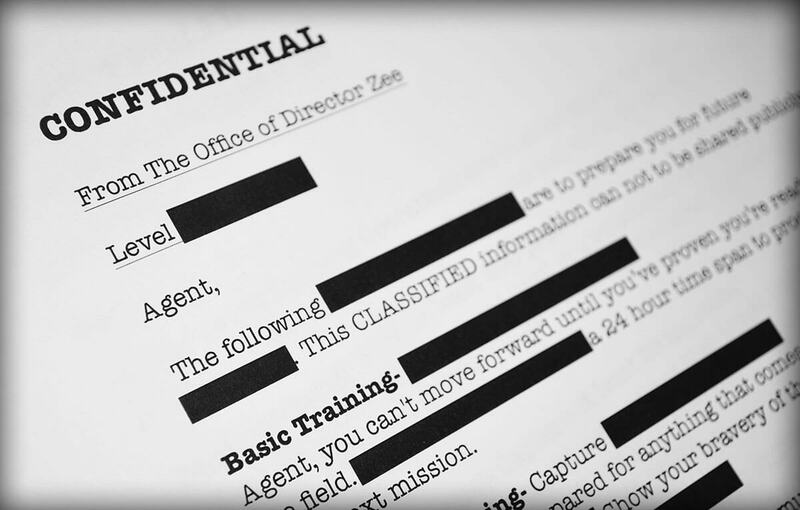 Every month new Operations will be released by the mysterious Director Zee himself. All of the Missions and Operations will include CONFIDENTIAL information regarding the campaign of the month. Complete Missions and Operations to learn the whole story. To start ZeeOps you’ll have to earn ZeeCred. The cost of the ZeeOp depends on the duration of that Operation. You can purchase ZeeCred in the Munzee Online Store or earn more by completing various operations. ZeeOps range in difficulty based on the Operation's duration and the levels of Missions. 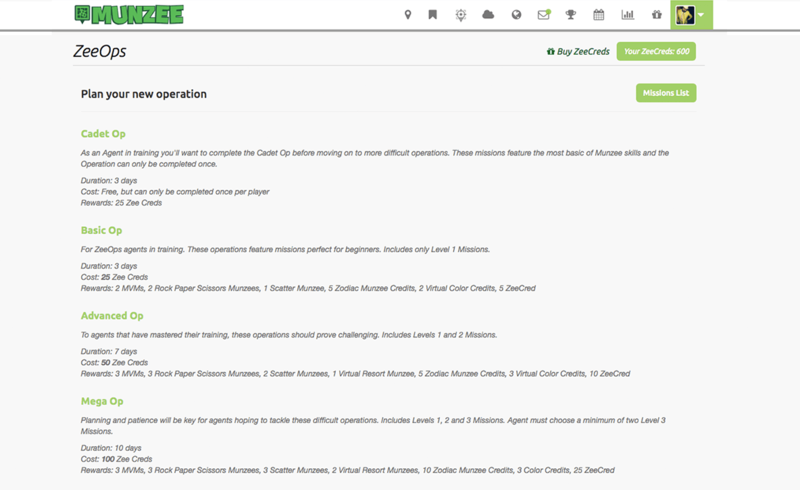 These missions feature the most basic of Munzee skills and the Operation can only be completed once. For ZeeOps agents in training. These Operations feature Missions perfect for beginners. 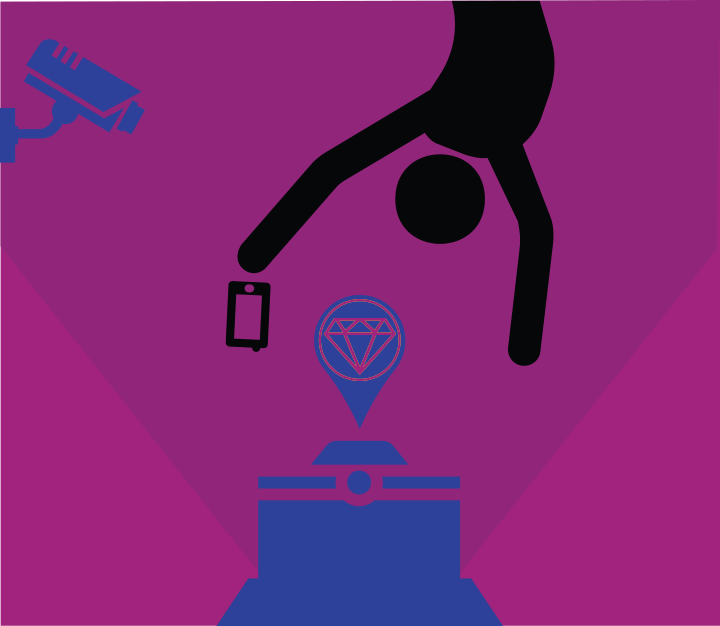 To agents that have mastered their training, these Operations should prove challenging. Planning and patience will be key for agents hoping to tackle these difficult Operations. WARNING: Only the most expert of agents can handle these 2 week long Operations. *Player must choose a minimum of two Level 3 Missions. *Player must choose a minimum of two Level 3 Missions and two Level 4 Missions. *The Cadet Op mission does not cost any ZeeCred, but can only be completed once per player. Agents are required to complete distinct daily Missions depending on the Operation. 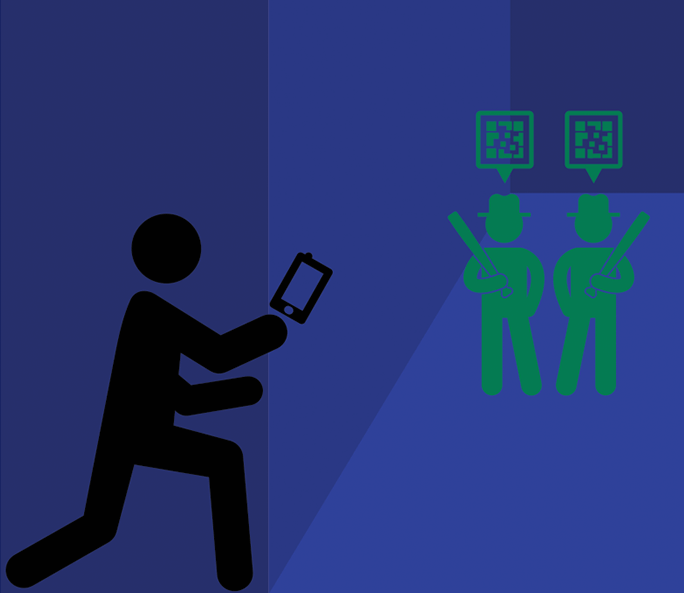 These tasks feature a variety of requirements like capturing or deploying certain Munzee types. Complete ZeeOps to win in-game rewards! Each time you complete an Operation you’ll be rewarded a variety of munzees as well as additional ZeeCred. Completing Operations will also earn you unique badges. Once your Operation is scheduled use the Munzee app to complete your daily Missions. 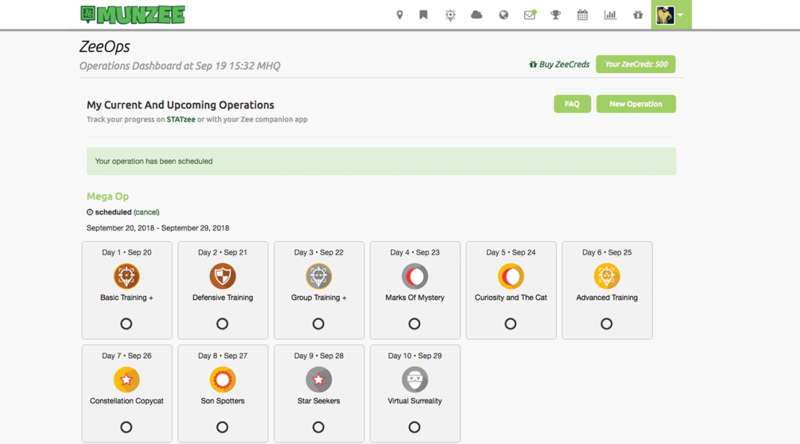 To begin your Operations go to the ZeeOps Dashboard at munzee.com/ops. Here you will see your current and upcoming Operations. This is also where you can start new Operations. You’ll have the choice between Basic, Advanced, Mega and Ultra Ops. These are 3, 7, 10 and 14 days respectively. Certain Operations will require more difficult Missions. Once you have chosen your Operation length, pick the date you want the Operation to begin. Operations cannot be started immediately, so you'll only be able to schedule them for dates in the future. 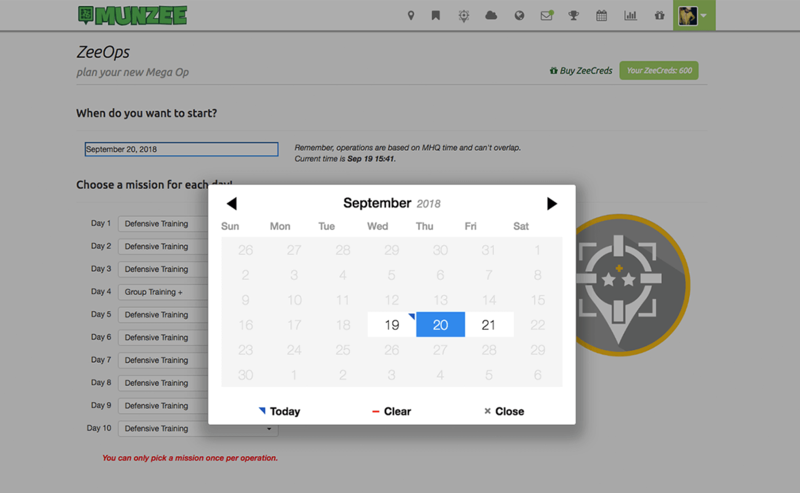 Remember, Operations are based on MHQ time and can't overlap, so plan your month precisely. ZeeOps campaigns can only be completed in the month they are released, so you won't be able to schedule them into the next month. The calendar will automatically shade out the days you cannot schedule a mission. After the date has been added, you will begin choosing Missions. Agents are required to complete distinct daily Missions depending on the Operation. Basic Ops only offer Level 1 Missions. Advanced Ops offer Level 1 & Level 2 Missions. Mega Ops offer up to Level 3, and players are also required to choose a minimum of two Level 3 Missions. Ultra Ops feature Levels 1 - 4, and also require players to choose at least two Level 3 & Level 4 Missions. Once you have all of your Missions planned, start the Operation and prepare for your first Daily Mission. You will have to finish ALL of your chosen Missions to complete the Operation. Each time you complete an Operation you will be rewarded a variety of Munzees as well as additional ZeeCred! These rewards will change each month, so keep completing new Operations each month to earn more!